Our Christmas gift vouchers are now available! Purchase the gift of music from Sydney Vocal Arts Centre! Private and group lessons in voice, guitar, piano, ukulele, drama musical theatre and songwriting!! Vouchers available at any value. 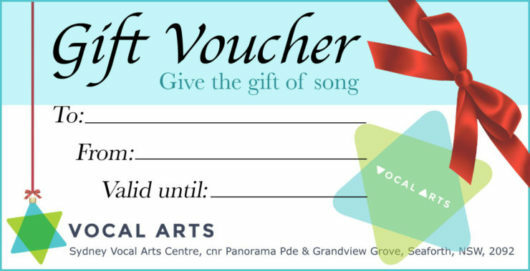 Go to Gift Vouchers to fill in a form or call 9949 1427 or email info@vac.com.au to puchase.